Spring is traditionally a busy time in rural real estate, as we seek to bring together willing buyers and motivated sellers of farms. In some other regions, the reduced dairy payout has had an impact on the market. In our part of the country, however, spring started well as a number of local farmers seek to either move on or retire. A number of good listings are emerging, including three frequently admired Northland dairy units: A 314 hectare coastal property near Dargaville; a 244 hectare Kaipara property that has produced an average of 170,000 kilograms of milksolids over the past eight seasons; and a 153 hectare farm at Poroti, milking around 480 cows. REINZ reported strong activity on Northland dry stock units in August, with enquiry for dairy outpacing the properties available. We have certainly seen that with these farms and expect the sales values achieved in the autumn, which were firm or higher than the previous season, will continue to trend upwards. 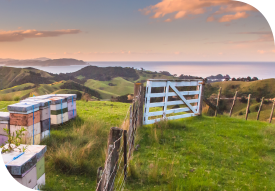 Elsewhere in the country, feedback from PGG Wrightson Real Estate’s nationwide network indicates that, dairying aside, various other parts of the primary production sector are enjoying good times and in line for a profitable 2015/16 season. In particular, viticulture, horticulture, beef and arable farmers all have reasons to be cheerful. Certainly, in the north, positive beef returns are stimulating interest in pastoral property and, with the kiwifruit and avocado sectors both buoyant, our orchards remain highly sought after. Recent GlobalDairyTrade auctions also provide encouragement. If prices continue to rise and interest rates remain favourable, the dairy property market elsewhere in the country should become more active again before the end of the year. Looking at Fonterra’s proactive support for its members and also its recently announced results provide further grounds for optimism. If all of that plays out, the reduced payout could conceivably have no more than minimal effect on Northland’s rural property market. John Duder is Northland Sales Manager for PGG Wrightson Real Estate Ltd, which has offices in Waipapa, Whangarei, Dargaville, Wellsford and Pukekohe. Locally born and raised, he has been in the real estate business for over 15 years, including the last nine in his present role.